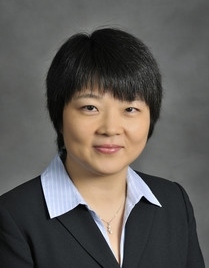 The Complex Networks and Security Research (CNSR) Lab at Virginia Tech was founded in 2011 by Professors Tom Hou and Wenjing Lou. The mission of the CNSR@VT lab is to conduct basic and applied research in a broad range of topics in networking, wireless, and cyber security. We explore novel concepts and ideas related to protocols and systems of the future pervasive cyber infrastructure, and design scalable architecture and trustworthy protocols for next-generation networks. Nov 2018: Prof. Lou delivered a keynote speech on Blockchain at ICA3PP 2018, Guangzhou, China. Nov 2018: Prof. Hou delivered a keynote speech on real-time scheduling in 5G networks at APCC 2018, Ningbo, China. Nov 2018: Prof. Lou delivered a keynote speech on Blockchain at DLoT 2018, New York City, NY. Aug 2018: Prof. Lou visited Nanyang Technological University, Singapore and delivered a lecture on IoT security in the College of Engineering's Distinguished Speaker Lecture Series. July 2018: Prof. Lou delivered a keynote speech on blockchain at IEEE Blockchain 2018 conference, Halifax, Canada. May 2018: Prof. Lou delivered a keynote speech on data security and privacy in cloud computing at SPC Workshop at IEEE CNS 2018, Beijing, China. May 2018: Prof. Lou delivered a keynote speech on IoT security at 5G-Security Workshop at ICC 2018, Kansas City, Missouri, USA. May 2018: Congratulations to Prof. Lou for receiving the Alumni Award for Excellence in Research! (VT News) This award recognizes the most significant research achievement within the University. Awards are made annually in two categories: science or engineering and social sciences, humanities, or arts with one award in each category. April 2018: CNSR has produced two more professors! Congratulations to Ning Zhang and Wenhai Sun. Ning has accepted an offer from the Computer Science & Engineering department at Washington University in St. Louis. Wenhai has accepted an offer from the Computer Information and Technology department at Purdue University, West Lafayette. Both are tenure-track assistant professor position. January 2018: Prof. Lou delivered a distinguished lecture on IoT security at University of North Carolina, Charlotte.